I worked as an English language teacher, then worked as a teacher trainer. 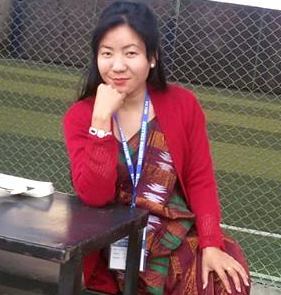 Now I have taken the new role of basic reading skills development expert in the Nepali language! Actually, it has been an interesting experience for me to work in the teaching-learning of both languages. Now, I am now trying to see how English language teaching can help Nepali and vice-versa. With the recent development of the five component- based reading approach around the world, the focus of reading skill development in native language has been shifted. And the latest approach is giving better results. In this post, I am trying to explore the trends and gaps in reading skills teaching in English language and share some encouraging changes in the reading skills in the early graders in the Nepali language. Finally, I propose to borrow the five component- based reading approach from the Nepali language classrooms into the English classrooms. Though the curriculum states English as the second language in the classroom, there are students from many different backgrounds, which makes Nepali the second language for them and English after that. In a way, it is taught and practised as the foreign language. One of the general objectives of primary level English curriculum (Primary Education Curriculum, 2063) is “…to help them develop enthusiasm for reading so that they will be responsive and knowledgeable readers” On the other hand, one of the objectives of reading in early grades (1 to 3) is to “put sounds together to read words and sentences and read words and simple sentences, and understand them.” English teaching as a subject in early grade aims of developing students’ ability to use English effectively in real life situation as per the national curriculum framework of Nepal. Less exposure of English language: Not only the students get less exposure to use the target language in the classroom but teachers themselves use handful expressions of English. Few short expressions of English is used such as stand up, come in, ok, you read, did you understand, now read, your turn, turn page no are the most common expressions as the classroom language. Focus only on teaching items rather than skills: The teachers only cover the teaching items of the textbook where they focus only on the contents. They are less aware of the basic reading skills such as phonological awareness, concepts of print, letter-sound association and blending of sounds, syllable reading, vocabulary building, comprehension and fluency. Comprehension teaching is less focused: The main emphasis of teaching is mostly based on the drills and deliver the meaning of the whole text in Nepali. Although reading comprehension is regarded as the essential part of reading, it is mostly neglected during the lesson. Actually, teachers read the text and write the answers on the board and students are asked to copy that. Now the question is who is learning here- teacher or students? Students are not prepared to strengthen their reading comprehension. Nevertheless, a few good examples of letter recognition is seen in English learning. Few teachers were seen using readymade domino game to link relationship with sound and letter. Students were able to utter correct pronunciation of English letters after the domino practice. They were able to decode the letters in words. When it comes to the matter of word reading, a few students were able to decode words with proper pronunciation. Generally, they were able to decode the monosyllabic words such as bus, high, red etc. but had difficulty in multi-syllabic words. In my observations, I found most of the teachers struggling in making students read words at once. In addition, teachers are struggling to develop vocabulary, reading fluency, and reading comprehension in students. While working closely with teachers and students and closely observing the Nepali language classes, I found some changes in teaching the Nepali language. First, there is an extension of time for the Nepali language in schools. With the emphasis of giving more inputs and exposure of Nepali language to students, two periods a day is allocated for it. Second, a new approach called five components based learning approach is used in teaching the Nepali language. And third, a new strategy called gradual release of responsibility is used in teaching learning process. Now let me basically share about the five component based reading with a short account of classroom activities and the gradual release of responsibility strategy. The five component- based reading includes phonemic awareness, phonics, vocabulary, reading fluency and reading comprehension. Teachers start his/her ninety-minute class with the everyday lesson with Phonemic Awareness activities like sound recognition, blending syllables into words and segmenting words into syllables. Then they gradually move to Phonics activities like introducing letter, its corresponding sound and possible words that it comes with. In addition, they involve students in stroke writing, syllables (Brahakhari) reading, word reading and reading a short decodable text. Moving onto the next component of Vocabulary, teachers introduce the vocabulary before presenting a decodable text/story. They introduce three new words with proper pronunciation, meaning and use in a sentence. Then the students are asked to read the text/story to improve their reading Fluency followed by necessary support and model reading from the teacher. Then to assess the reading Comprehension, teachers use factual and inferential questions. Finally, to test the students reading and writing skill, teachers use dictation technique. I was surprised to see that most of the students in classrooms were able to decode the taught letters and bring themselves into storybooks of different genres from classroom corner library. Teachers, on the other hand, were seen feeling comfortable in doing the lesson in a structured way. They shared that they had never ever experienced such a learning environment in the classroom since they begin to teach the Nepali language. And they believe that this approach is significantly supporting even the students from non- Nepali background to learn Nepali in a better way. In the follow-up discussion, the teachers expressed that a majority of students have been dropping out from schools when they reach the upper grades. They also revealed that the majority of droppers could not read the text properly and comprehend the meaning. Consequently, they feel ashamed, disheartened, ignored and are punished in many cases and leave the school. Those who continue their education struggle to achieve better. Researches have shown that students who do not learn to read in the early grades are more likely to repeat the grade. Those who are upgraded are more likely to drop out of school. In Nepal, if 100 students enroll in grade one, only 30% of them stay in school till the end of their school education. About 70% of students drop out of the school system. It is believed that this horrible situation will lessen once they get competency over the language during their early grades and achieve overall academic success. Achieving the objectives of the English language curriculum primarily in early grade is inevitable in order to retain the students in upper grades. If students cannot achieve competency over the English language in early grades, their academic success in upper grades cannot be ensured. To address the lacking part in English learning and make the students competent reader in English, Nepal government should introduce five components based reading approach as the core approach to teaching language in early grades. As discussed with cases of Nepali language above, students in this approach get good opportunity to practice reading skills in a carefully guided environment. Moreover, it controls teachers from being active every time and gradually releases the responsibility of learning from teacher to students. Curriculum Development Centre (2007). Primary Education Curriculum (in Nepali). Curriculum Development Centre, Ministry of Education. Pearson, P. D. and M. C. Gallagher, (1983).The Instruction of Reading Comprehension. Contemporary Educational Psychology, (8), 317-344. * Mr Koirala is an MA from Tribhuvan University. He has been working in the capacity of literacy officer in an organization. His area of interest also includes writing, theatre performance and art. This five component based reading approach is well applied in Nepali teaching but why is not applied in English Teaching . How can we apply it? Examples are needed for more generalization. Are 70 % students dropping out from their study? What are the other factors affecting this issue? Thank you so much for your comment. Yes, five components based approach is only applied in Nepali Language teaching not in English. This is an attempt to aware the concern stakeholders and people like you for its application in teaching Languages. Let’s join hands ! !